Where (and How) Has Tea Expanded? Historically, China, Japan, Taiwan (Formosa), India, and Sri Lanka (Ceylon) are considered the five traditional countries of origin, for tea. Today, tea is grown and cultivated in more than 37 countries worldwide, according to the International Tea Committee’s “World Production of Tea” report. Other tea resources, books, and reports, have that number at well over 50 countries producing tea. The five traditional countries produce the classic tea types and styles, to which the rest of the world’s tea production is compared. Tea production is ever expanding, as demand for tea, has almost outpaced its production. What follows is a review of just a few of the most important tea producing countries, as well as, countries that produce teas used in blends found in the United States. Korea has a rich tea history that goes back thousands of years. It is said that Buddhist monks visiting China brought back sinensis tea pants in the seventh century. At that time, tea was a drink of luxury for the privileged class, as well as for monks. When Confucianism replaced Buddhism in the 14th century, tea drinking all but ended. It wasn’t until the 1990s that tea production was commercialized on a large scale. There are three growing areas in Korea: Boseong, Hadong and Jeju-do. Korean teas are almost all orthodox pan fired green teas and are graded according to their flush, first through fourth. Nepal is a relatively small country, with much of its tea grown in the hill districts of the Himalayan Mountain Range. Nepalese teas are often compared to, or wrongly sold as Darjeeling Teas of India, due to their similar look and flavor. In 1864, the Emperor of China gave the Prime Minister of Nepal, Junga Bahadur Rana, many gifts on his visit to China, including precious tea seeds. During this time, however, Nepal was run by a centralized autocracy known as the Rang Dynasty which isolated it from the outside world and tea production was minimal. In the last 1950s a new democracy was formed which opened Nepal’s borders and tea production began on a much larger scale. In 1982, five districts were recognized as producing Nepalese teas: Jhapa, Ilam, Panchthar, Dhankuta and Terhathum. Nepal produces mostly black tea, in both orthodox and CTC manufacture, though, there are some unique oolong and green teas being produced by small batch holders. Bangladesh started producing tea in the mid-1800s in the Sylhet district. Srimangal, the land of two leaves and a bud, is the tea capital of Bangladesh. Though originally a major export, today Bangladesh consumes much of the tea that it produces. Most of the tea produced is black orthodox and CTC. Organic and handcrafted teas are produced in Panchagarh by Kazi & Kazi Tea, which is sold internationally under the Teatulia brand. Georgia started producing tea, of the Chinese varietal, in 1890. The fertile lands at the foothills of the Caucasus Mountains made this an ideal place to cultivate tea. Georgia, then under Russian control, became the main supplier of tea to the Soviets. The quality of tea declined as Soviets demanded more and more tea be produced, resulting in the use of mechanical harvesting and production. With Georgia’s independence, tea went back to being produced the old fashion way, by hand. Today, the skills and knowledge of hand production is being passed on to the next generation who are sharing their black teas with the world. Turkey is known for its coffee, but Turkey’s national drink is tea. In fact, Turkey has one of the highest consumption rates of tea in the world. Tea production started in the 1920s with seeds from the Soviet Union. The hilly shores of the Black Sea offer ideal conditions for tea growth. Most of the tea produced here is black and is consumed by the locals. Vietnam is a mighty force in the tea industry today, producing green teas that compete with those found in China. Vietnam can trace its tea production back 3,000 years, when wild tea trees flourished. In the 1820s, the French started the first commercial production of tea in the country. After the Vietnam War, many foreign investors helped rebuild and grow tea production. Today, tea is grown in 37 provinces throughout Vietnam. Vietnam makes CTC black and green teas and orthodox black, green (steamed and pan fired), oolong, dark and jasmine teas. Lotus tea is the prized tea of Vietnam, and is hard to find outside their borders. Traditionally, tea is enclosed in the blossoms of the lotus flower overnight where the tea naturally absorbs the sweet floral perfume of the lotus blossom. Thailand started producing tea from clonal teas that Chinese settlers acquired from Taiwan. Using the cultivation methods of the Taiwanese, Thailand starting producing oolongs. However, in the 1970s-opium replaced tea production. Today, Thailand produces oolong, green, and black teas, most of which is consumed locally. Indonesia — tea of the assamica varietal, was first produced in the early eighteenth century by the Butch East India Company, which started cultivating tea on Sumatra. Since Indonesia is a large archipelago, most of its soil is volcanic, which is perfect for the tea plant, and with its islands found right at the equator (+/-10◦), the amount of sunshine and rainfall are ideal for tea cultivation. Historically a black tea producing country, today Indonesia produces mostly green tea, which is consumed locally. The black tea produced, is a combination of orthodox and CTC, with the CTC tea found in common tea bags in the United States and Great Britain. Malaysia — tea production was first started in 1929 by a British civil servant in the Cameron Highlands. These highlands offer the perfect combination of weather and soil for tea production. The BOH Plantations control 70% of the Malaysian tea market, growing a golden, smooth orthodox black tea. Laos has many ancient wild tea trees, which have been growing longer than there have been people around to pluck them, still being harvested to this day. In the 1930s Laos began cultivating tea bushes in commercial gardens producing white, green, black and dark teas (pu-erh like aged teas). The local government has allowed foreign companies to open and operate tea factories in an attempt to stop poppy growing. Myanmar’s (Burma or Shan States) primeval garden is said to be the original home where wild tea was planted by Mother Earth. To this day, wild tea is harvested by locals. Tea cultivation takes place in the northern region between April and November. Orthodox tea is produced in both green and black styles. Myanmar also produces a fermented tea that is eaten with a pickled salad called lahpet. The United Kingdom planted some of its first tea seedlings in 1996, in the warm, balmy climate of Cornwell, the southwestern tip of England, at the Tregothnan Estate. Around thirty different clonal varietals produce tea from March to November of mainly black tea and of course Earl Grey. Wee Tea Farm in Scotland is producing some tea in an unconventional way using light reflective tubes, polytunnels, and biodegradable polymers to retain moisture and nutrients while reflecting light under the leaves. Portugal was the first country to take up tea drinking in Europe. Portugal started experimenting with tea production in 1750, with little success until 1883 when skilled workers from China were brought in to help. Tea grown here is organic and grown by independent families. Kenya which sits right at the equator, offers tea growers year-round production. Though people have been living in Kenya since the beginning of time, it wasn’t until 1903 that a European settler brought assamica tea seeds with him to grow. However, it wasn’t until the 1950s, when the Tea Board of Kenya was formed, that tea flourished to grow as a major export of Kenya. The Tea Research Foundation of Kenya has made over 50 viable cultivars of the assamica tea plant so that tea production can thrive throughout Kenya. One of those unique cultivars is 306/1, more commonly known as Kenya’s Purple Tea. Kenya’s production is almost exclusively black CTC for tea bags, which produce a strong liquor. Malawi’s first tea was planted in 1878 when sinensis tea seeds from the Botanical Gardens of Edinburgh were brought to the area. However, after much struggle, the crops failed. In 1928, assamica seeds were introduced to the region and flourished, making Malawi the second largest producer in Africa. Malawi tea is mostly black CTC known for its color and rich flavor. In 2006, a small amount of uniquely delicate white tea with a hint of rose, and an open leaf green tea with hints of fruit, were introduced. Rwanda first started tea production in the 1950s, but the civil war in the 1990s destroyed the tea industry. The privatization of the tea industry in 2004 saw the development and growth of tea once again. Rwanda is quickly growing as an exporter of teas out of Africa with the Rwandan government dedicating more land to tea production. Rwanda produces mainly black CTC, but offers limited amounts of green and black orthodox, and green CTC teas. Success of the Rwandan tea industry can be credited to Joe Wertheim who started Sorwathe Tea Company in the highlands of western Rwanda. Today, his son Andrew Wertheim has taken over the reins. Tanzania, the fourth largest tea growing nation in Africa, started planting tea in 1902 by German settlers. After WWII, the British took over the tea production until the 1960s when small holder tea farming began. Tanzania makes white, green, and black teas, though much of what is made is black. South Africa, known for its rooibos tea made from Aspalathus linearis not Camellia sinensis, started to cultivate tea in 1850 with assamica seeds brought to South Africa from England. The high cost of labor has closed many factories. What is harvested today, from November to March, is a black tea similar to CTC. Zimbabwe saw its tea production start in 1960 along the country’s eastern border. Tea production has been erratic over the decades, but today, four major producers dominate, with thousands of smallholder farms selling fresh leaf to the factories. Tea produced here is all black CTC. United States of America first started experimenting with tea cultivation in the mid-1800s with tea smuggled out of China and planted in Georgia and the Carolinas. However, the Civil War saw the end of tea production in the U.S. until the Lipton Tea Company started experimenting with growing tea in the 1960s. Those tea fields now referred to as the Charleston Tea Plantation, which was acquired by the Bigelow Tea Company in 2003, is still the biggest tea estate in the U.S., this facility is open to the public and produces green and black tea. Today, tea cultivation is growing throughout the nation. The formation of the US League of Tea Growers has sparked the imagination of many tea lovers who want to grow their own fields of tea. Hawaii has had the most success, though limited, due to the cost of labor and shipping. More recently, attempts are being made at growing tea in Alabama, California, Washington, Oregon, Mississippi, New York, Texas and South Carolina. A wide range of teas are available from select smallholder tea estates from green, oolong and black. Guatemala started its tea journey in the 1950s with tea seeds from India and Africa. These seeds were planted on the slope of the Atitlan volcano. Tea flourished in the rich volcanic soil which sees ample rain fall. Black tea is harvested May to December and processed into black tea using a rotorvane method. Other crops are harvested alongside the tea estate, like coffee, rubber, and macadamia nuts. Argentina, known for its yerba mate, is today a major player in tea. Argentina’s black and green teas are found in many iced tea blends and tea bag blends in the US. Over 60% of the tea that is imported in the United States annually comes from Argentina, mainly due to the commodity iced tea market. Though tea started being produced in 1920 with seeds from Russia, and again in 1924 with seeds from China, it wasn’t until the import ban on tea in 1951, by the Argentine government, that quality tea started being produced. Tea in Argentina is mostly machine harvested and processed with the CTC or the LTP (originally designed for tobacco harvesting) method. 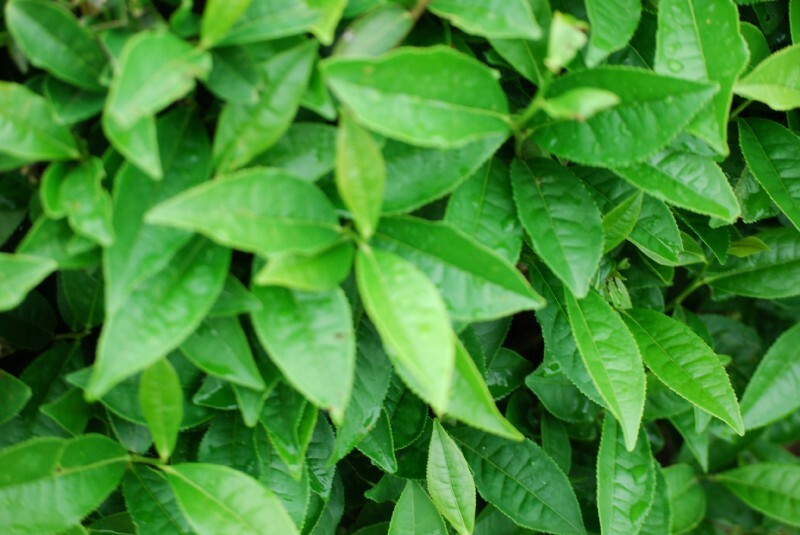 Ecuador produces the only tea grown in the Amazon area. 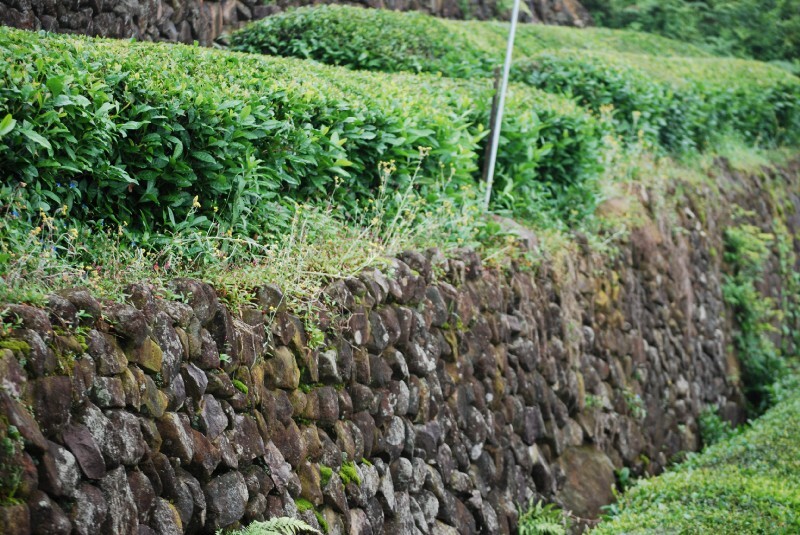 Tea is produced near Puyo, on the foothills of the Andes. There are many challenges due to the remote location, but local Andes Indians have been successful in producing orthodox and CTC tea for some time, much of which goes to North America and Europe. New Zealand tea production was started by the Chen family in 1996 after emigrating from Taiwan. Production is done in Gordonton on a 100-acre tea estate producing over 48,000 pounds of tea annually, with growth plans to more than double that in the coming years. Tea here is plucked by hand and made into exquisite oolongs that are buttery, fruity and nutty, depending on their oxidation level. Small amounts of green and black teas are also produced. Australia started growing tea in the late nineteenth century, due to local consumption by colonial Australians drinking almost a pound of tea per person, per month. Unfortunately, there were too many hurdles to overcome — from lack of a workforce to pluck the leaves, to cyclones, to a tidal wave that literally washed it all away. In the 1950s, interest in cultivating tea reemerged with the threat of supply shortages due to WWII. In the 1970s and 1980s tea production expanded in Queensland and New South Wales. Today there are over a dozen estates producing both sinensis and assamica varietals. In fact, there is even some Japanese steamed tea being grown in Australia specifically for the large Japanese tea company, Wangaratta. Papua New Guinea has been producing tea since the 1800s. Today only one company survives, selling black CTC to be used in blends all over the world. Tea is grown in the western highlands, where weather is perfect for cultivating tea. You can shop teas from all over the world at Art of Tea, or you can find teas inspired by international locales. Shop the Location Collection for tastes of Kyoto, Tuscany, or Brooklyn.